I would have loved to watch the Redskins game this afternoon but my girls were just not going to let me. It was one of those days. I decided I would take them to the train show so my husband and his friends could watch the game in peace. 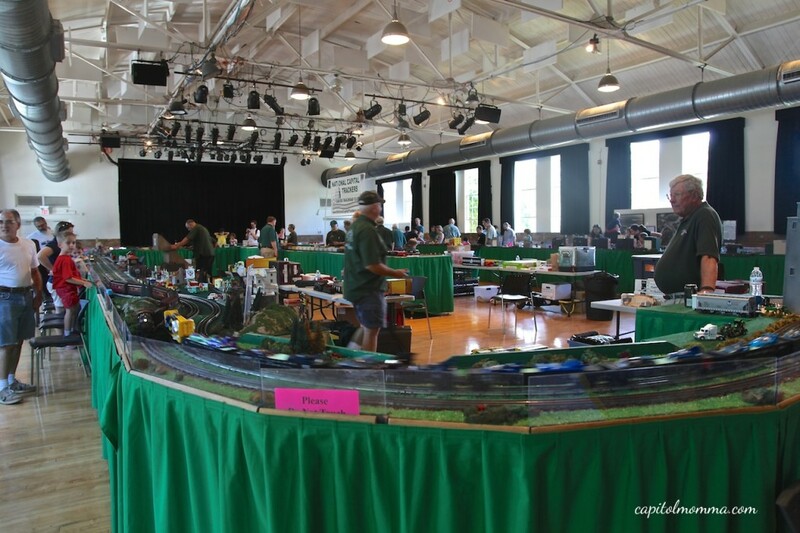 This was the fourth annual year of this family friendly model train show held on Saturday and Sunday from 11-5pm. Tickets were $5 for adults, $2 for kids, or $10 for a family. All Aboard Kensington is a benefit for the Noyes Children’s Library Foundation (www.noyeslibraryfoundation.org) and the Kensington Historical Society (www.kensingtonhistory.org). As we entered the Town Hall we saw the massive train track and watched as the trains went around. 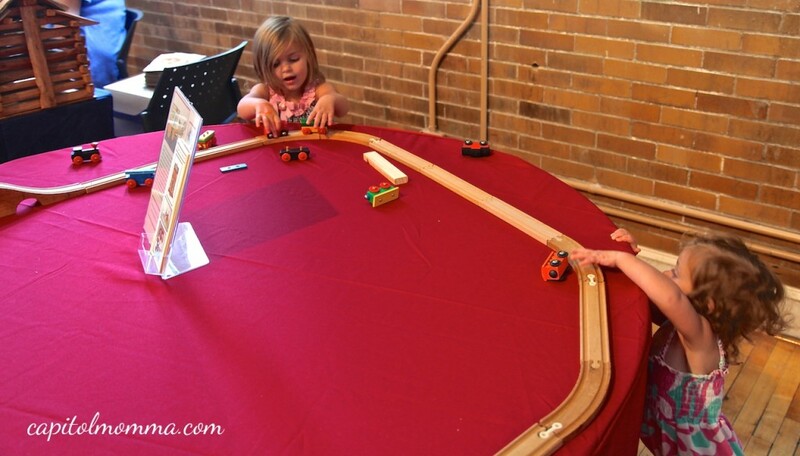 As we made our way around the hall we came to a table with a wooden train set. The girls had fun playing with this for a while. Then I bought the girls each a mini cupcake made by Jennycakes Bakery and we went into a smaller side room for the entertainment. 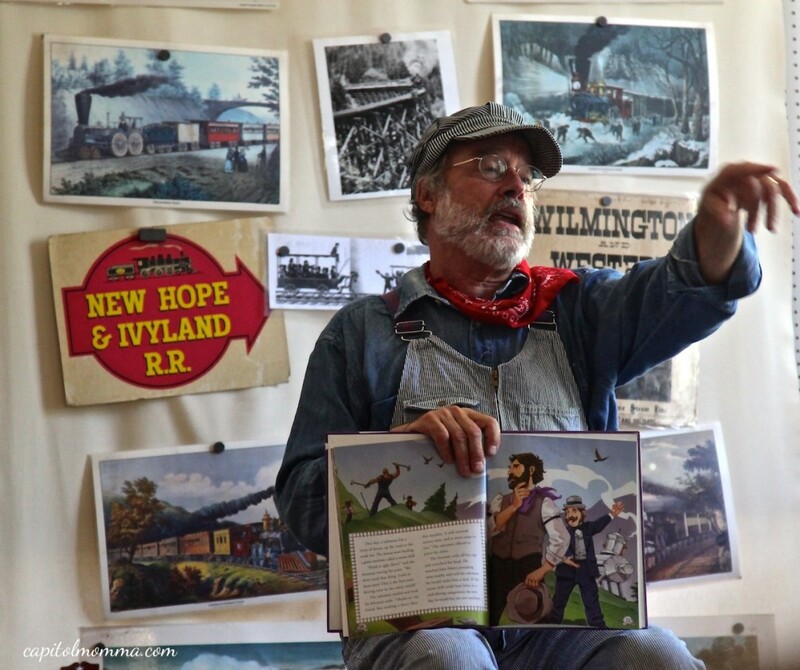 Matthew Dodd, dressed in an old time train conductor uniform was telling railroad stories and singing songs. The previous day of the train show, the Dixie Land Express band was performing. There were also various booths around the Town Hall that were giving away train whistles, key chains, bookmarks, etc. A Boy Scout Troop was selling food under a tent outside. My girls were entertained for a while but I think it would be a bigger hit for any children who are Thomas the Train or Chuggington fans. Regardless, I was very happy to contribute to raising funds for the Noyes Library, which is a gem for children in our community. 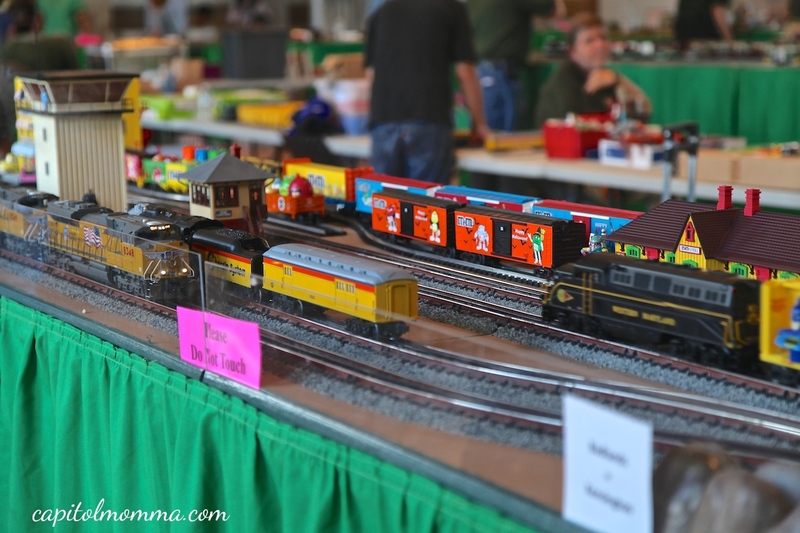 After seeing all the trains at the show, Clara asked if we could go ride one. So, then we went over to the Wheaton Regional Park for a ride on the miniature train and that completed our train themed day.